Liz Bonnin and a team of experts conduct a groundbreaking scientific study of cats, revealing how cats experience the world with the senses of their wild ancestors. Playful pets, fearsome fighters or deadly hunters? Millions of us have cats in our homes, yet we know very little about them. In this series, Liz Bonnin joins forces with some of the world's top cat experts to conduct a groundbreaking scientific study. With GPS trackers and cat cameras, we follow 100 cats in three very different environments to find out what they get up to when they leave the cat flap. 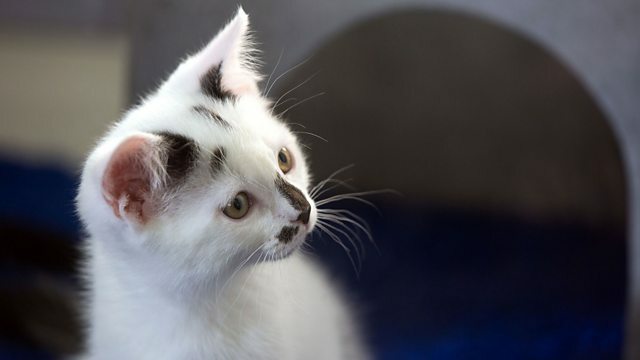 In the first programme we discover how our cats see, hear and smell the world with the senses of their wild ancestors, and why this could be making life difficult for them in the modern world.